Rules have been put in place by the UK government to keep the UK free from rabies and certain other exotic diseases. The UK has been free from rabies for many years, but because of the existence of the disease in other countries there is a continued need for an effective system to be in place to manage the risk of rabies being introduced by imported animals. DEFRA is the government department responsible for policy and regulations on environmental, food and rural issues. The department is also responsible for overseeing the regulations regarding the movement of animals, including pets, into and out of the UK. The following information is only intended as a guide and the DEFRA regulations regarding the movement of pets in and out of the UK can change at any time. You should check with DEFRA or your veterinary clinic if you intend to take your cat abroad. Under the European Union (EU) pet movement system, all pets moving between EU Member States must meet the same animal health rules. All pets travelling between EU Member States should be microchipped, vaccinated against rabies and accompanied by a pet passport. Countries outside of the European Union may have their own rules governing the movement of animals in to and out of these countries. If you're going abroad with your cat, the Pet Travel Scheme (PETS) could help avoid long quarantine periods when you return. The PETS scheme allows people in the United Kingdom to take their pets to other countries and return them to the UK without the need for quarantine. You cat must have a permanent microchip implanted before vaccination and this microchip must meet certain specifications so that it can be read by any standard microchip reader. Your cat must be vaccinated against rabies using an approved vaccine and vaccination boosters must be given at the manufacturer's recommended intervals. 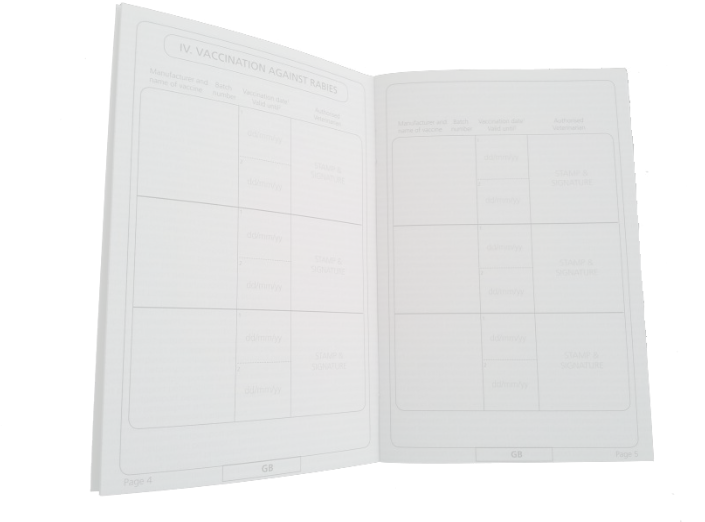 Vaccinations must be administered at least 21 days prior to travel. Once the above steps have been successfully completed a PETS passport can be issued. 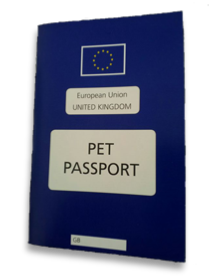 The PETS passport must be signed by an official veterinary surgeon, confirming that the conditions have been met. Please note that some countries may have additional requirements covering the movement of animals and you should check with the Department for Environment and Rural Affairs (DEFRA) or speak to your veterinary clinic to establish the specific requirements for the countries your cat will be visiting. Before your cat can return to the UK following a trip abroad it will need to be seen abroad by a registered vet and treated for tapeworm with details of the vet check and treatment administered recorded in the Pet Passport (or other travel documentation your pet might need). It is important that you plan well in advance before taking your pet abroad as it can take up to a month from the start of the Pet Passport process before your pet can have the documentation required to travel. Travel to countries outside the EU requires individual documentation and reference should be made to the DEFRA website for information. Travel to non-EU countries requires preparations that usually take several months so you need to plan your trip accordingly.